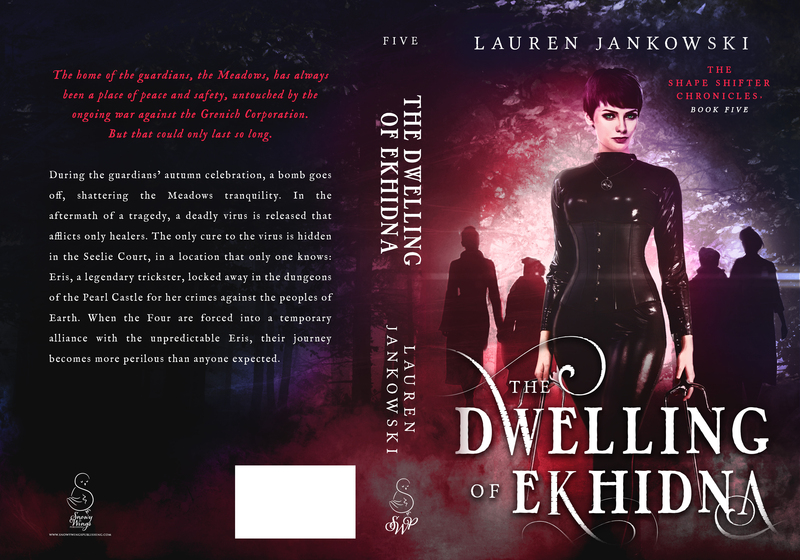 Today We're helping reveal the cover for Lauren Jankowski's The Dwelling of Ekhidna, Book Five of the Shape Shifter Chronicles, designed by Najla Qamber Designs. 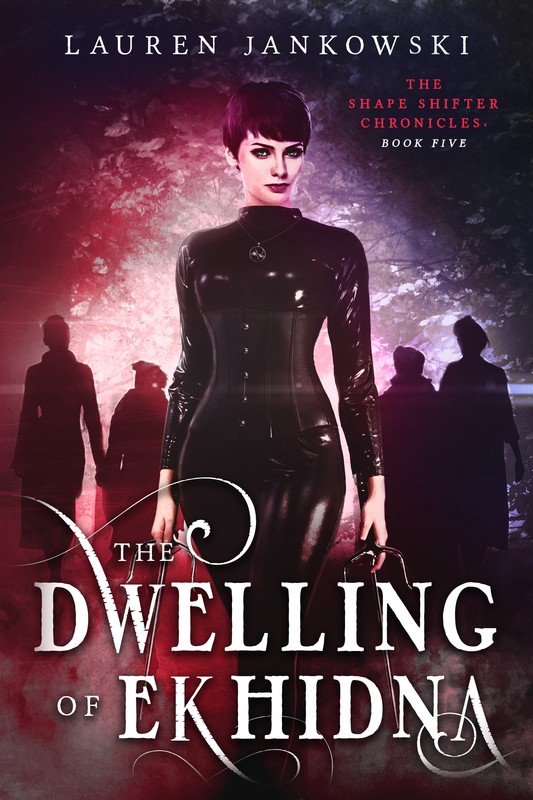 This action-packed urban fantasy is releasing this Tuesday, January 31, from Snowy Wings Publishing! The home of the guardians, the Meadows, has always been a place of peace and safety, untouched by the ongoing war against the Grenich Corporation. But that could only last so long. During the guardians’ autumn celebration, a bomb goes off, shattering the Meadows’ tranquility. In the aftermath of a tragedy, a deadly virus is released that afflicts only healers. The only cure to the virus is hidden in the Seelie Court, in a location that only one knows: Eris, a legendary trickster, locked away in the dungeons of the Pearl Castle for her crimes against the peoples of Earth. 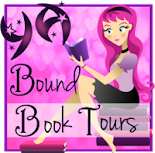 When the Four are forced into a temporary alliance with the unpredictable Eris, their journey becomes more perilous than anyone expected.